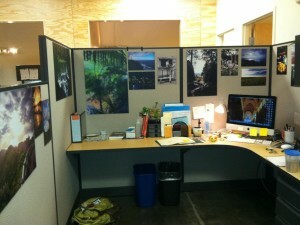 You are currently browsing the Design Dynamics blog archives for April, 2011. One of the advantages of being a wide-format digital printer is the ease with which we can produce 4’x8′ sheets of printed graphics. This is particularly valuable when you have an array of different sized photos that you would like to have mounted without the sky high costs associated with doing them individually. Our digital printer can reproduce photo quality artwork that is printed to vinyl then laminated with a non-glare overlaminate and mounted to either a foam or PVC based board. 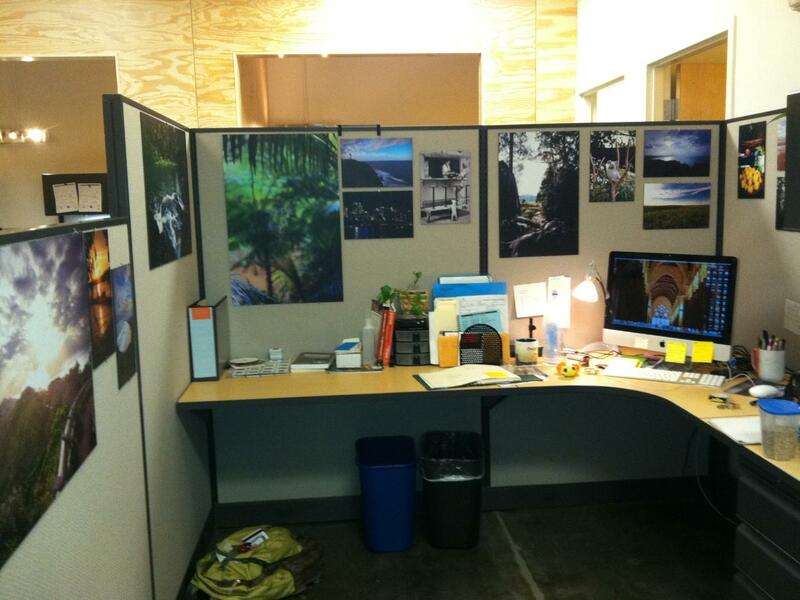 For example, this project of the week was for a professional photographer that we like to work with who wanted to personalize her workstation. She had 22 images in four different size groupings that we printed out on Arlon 4560GT vinyl, laminated with Millennium matte overlaminate then mounted to a 4’x8′ sheet of black PVC Komatex that was easily cut down into 22 different images through our Steeltrac 82″ cutter. If you have an array of photos that you would like to turn into different sized mounted graphics for display throughout your business or home, give us a call to learn just how easy and affordable this is to do. Also, if you are looking for a wonderful photographer to take your original pictures, call us and will help you connect with one of the best photographers in Orange County. It is gratifying when you get selected to do a project for your institution of higher learning. A place where you spent a lot of hours learning from some terrific professors. It is even more gratifying when you get asked to do another project because decision makers were so impressed with your previous work that they asked for the same company to do their custom signage. At it’s core, Design Dynamics is a wide format digital printer and sign shop. 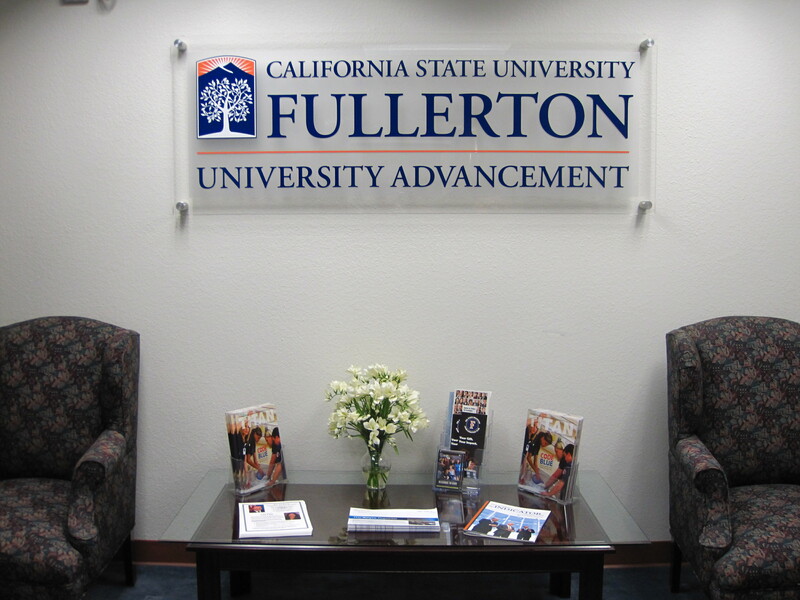 While we pride ourselves on our ability to design the right sign then compose that sign using the right materials for the job, what sets us a part from other Orange County sign shops is our ability to effectively install a quality sign. 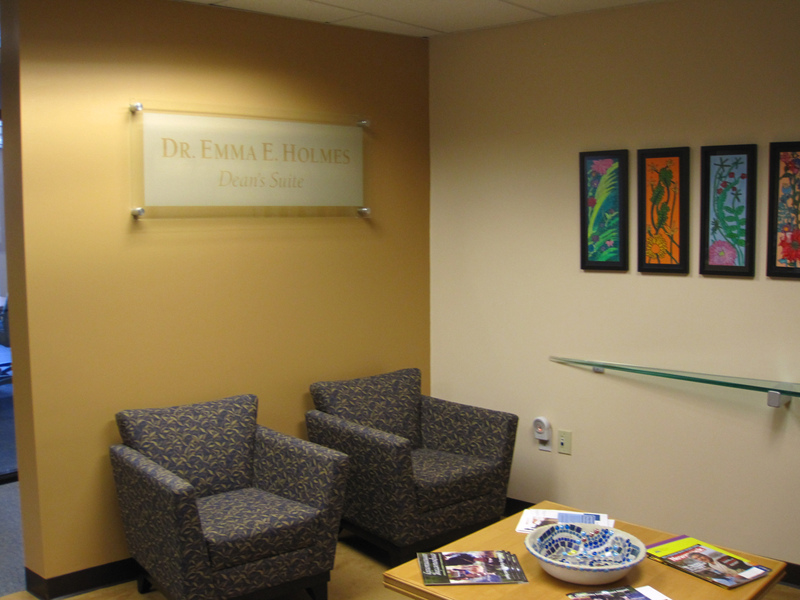 It is this combination of graphics expertise that makes us the right choice for your next interior signage project. At Design Dynamics, we pride ourselves on our ability to help our clients select the right system components that best fit their needs. We have worked hard over the years in defining our different graphic solutions along the spectrum of GOOD/BETTER/BEST. By adopting this approach, we have taken a lot of confusion out of the overwhelming array of choices. This weeks project of the week though reflects one graphic product,we do a lot of work with that we don’t offer a GOOD or BETTER option, we only go with the BEST every time because of the significantly superior quality found in this product. It is the glass etch supplied by 3M (7725324 and 7725314). While this is great technology the key to working with this product is still found in the skill of the installer. At Design Dynamics we have one of the best glass etch installers in Orange County. 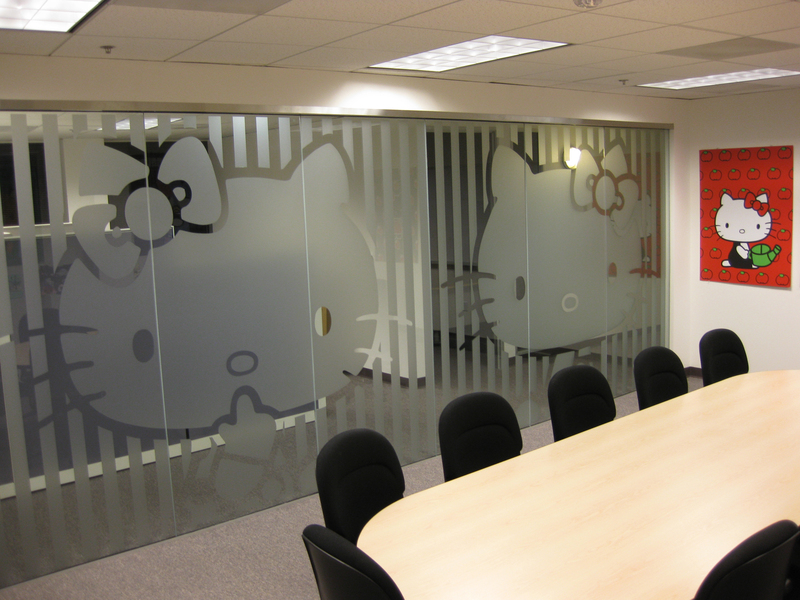 Call us at 800-94DESIGN to learn how we can help you artistically brand your interior glass.